The University of North Florida (UNF): a finely blended fusion of academics and nature; students across the country and world come here to relish its evergreen serenity. Students, during their busy bustle going from class to class and desperately trying to remember the freshly implanted principles from the previous day, can find themselves retreating their minds to the harmonic synthesis of the wind, trees, and animals in order to ‘get away’ for just a moment. The University of North Florida is the perfect place for the nature lover, and equally so, the rigorous student. When I bought a cottage-style home at the edge of the historic district in Sanford some seven years ago, I was happy with the large double lot and the magnificent live oak trees. Sanford was a real old-fashioned town with a real old-fashioned spirit, and I cherished it. 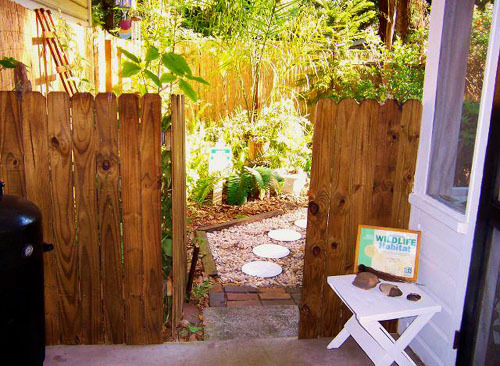 Wooden gate I installed, along with wooden fence around entire backyard, not long after I first moved into Sanford on the edge of the historic district. Had just left 15 good years of living out in what had once been the country, and I yearned to revitalize some of the "wildness" I had known there. Fort Clinch State Park is a great field trip for those with an appreciation of both nature and history. The Civil War-era fort is flanked by beautiful beaches and hiking trails through diverse natural communities: beach dune, coastal strand, maritime hammock, coastal grasslands, depression marsh, and estuarine tidal marsh. 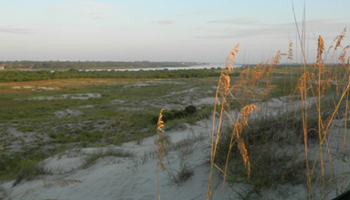 All together, the park extends over 1,427 acres of Amelia Island, Florida’s northernmost barrier island. Named for General Duncan Lamont Clinch, a prominent figure of the Second Seminole War, construction of Fort Clinch began in 1847. The fort was strategically located at the mouth of the St. Mary’s River to protect the natural deep-water port of Fernandina - the eastern link of Florida’s only cross-state railroad. Fort Clinch served as a military post during the Civil War, Spanish-American War and World War II - despite the fact that it was never fully completed. 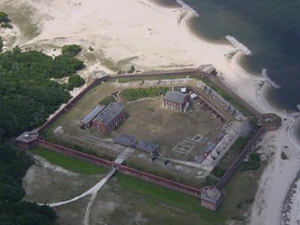 Fort Clinch became one of the state’s first parks in 1935. 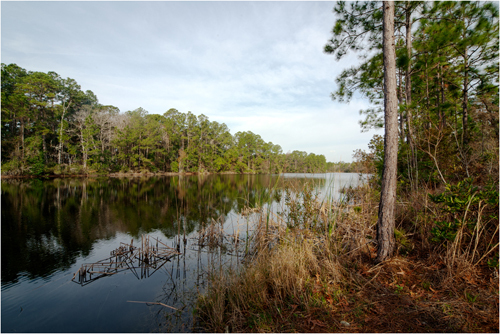 This state park, located in St. Johns County, faces the Atlantic Ocean, fronts the St. Augustine Inlet, and abuts a salt run, giving visitors an opportunity to explore diverse natural communities and the plants that inhabit them. On the upper beach and foredune (first dune above the beach), the wide-ranging coastal species are predominantly herbaceous. Sea oats (Uniola paniculata) form the backbone of the dune plant community; their rhizomes and stems trap sand grains blown from the beach. Another grass that tolerates sand burial is bitter panic grass (Panicum amarum). Seacoast marshelder (Iva imbricata), is a succulent shrub found at the seaward base of the foredune. When storms cause the dunes to erode, these dominant species may occupy the dune face until sand has accumulated again. The Ixia Chapter has taken several field trips to GTMNERR over the past few years. Why do we keep going back? Because it rocks! The Reserve is literally brimming with native flora and fauna (both resident and migratory, like our conference attendees) - the species list at the end of this blog is a testament to that. In short, GTMNERR is not a "been there, done that" kind of place.